What’s the best way to learn how to cook a delicious, healthy brunch? 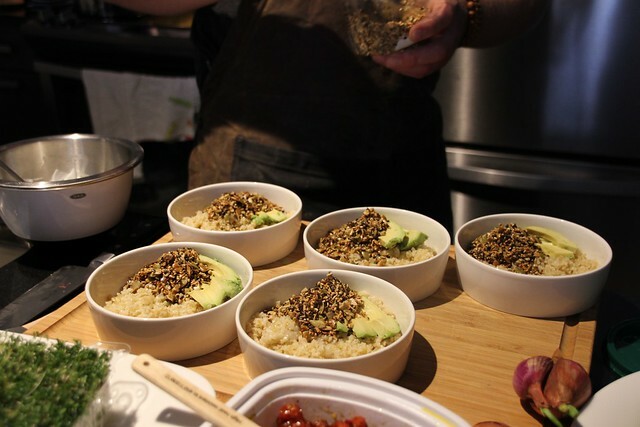 Host a chef in your very own kitchen and have him show you himself, silly. While that does sound rather absurd—and certainly something I never thought I would experience—that exact thing actually happened last month. Chef Kevin O’Connor, the head chef for Cobram Estate olive oils, reached out and offered to make me breakfast. It was an offer I couldn’t pass up. Chef Kevin had just flown to New York from Sacramento the night before, and had spent the day prior shopping for the most delicious ingredients across Manhattan. He brought an entire backpack of goodies and kitchen utensils with him, and promptly made himself comfortable in my kitchen. What he whipped up—over lots of great conversation, read our entire interview here—was nothing short of a beautiful three-course breakfast, complete with cocktails. So, naturally I invited a handful of friends over to experience this incredible breakfast. But Chef Kevin didn’t just bring his famous olive oil to the stovetop. He wowed us all and even made us olive oil cocktails, using Woodford Reserve’s Rye and Korbel champagne. Who knew olive oil and booze could be so tasty together? 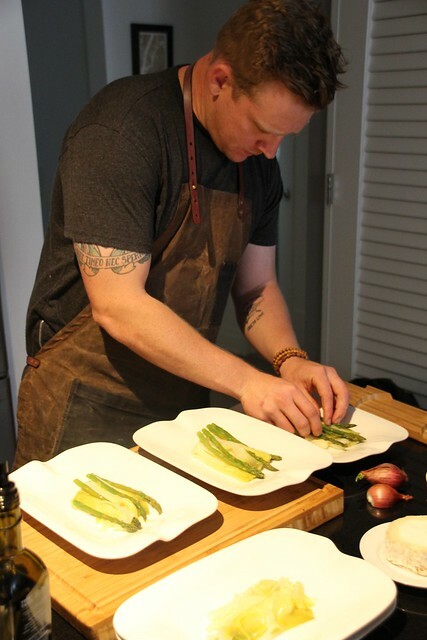 We know hosting a chef like Kevin might not be accessible for everyone, so Kevin kindly passed along his recipes so we could share them. They’re actually not that hard to make—each dish only took him a bit of time. Just be sure to get that great olive oil. Begin by cutting two or three Meyer lemons in half, coating them with extra virgin olive oil, and grilling them until well caramelized. You can grill regular lemons if you cant find Meyers. Finish the bowl with another small pile of the dukka. 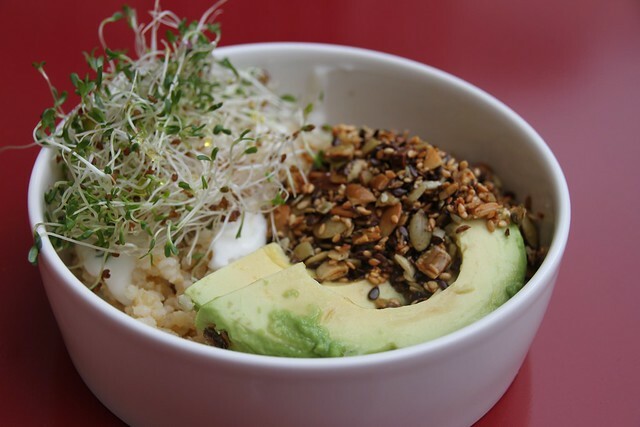 It’s great to have the contrast of lots of crunch with the soft avocado and bulgur. Feel free to put an egg on it! 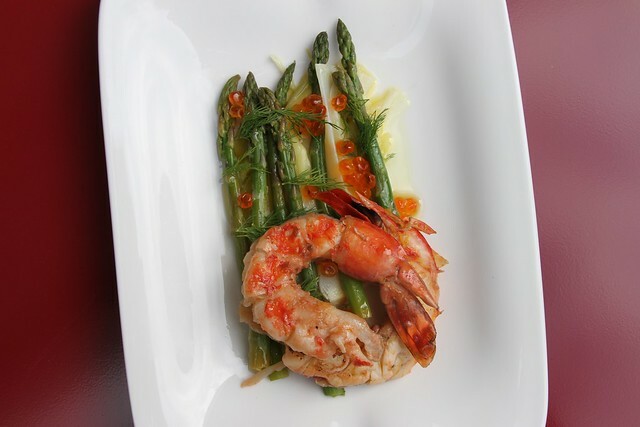 Garnish the dish with a sprinkling of crunchy sea salt, dill and cured salmon roe. Feel free to use caviar or any other type of cured fish egg. The saltiness of the salmon roe makes this a perfect dish for brunch time champagne. Begin with the tomatoes. Toss cherry tomatoes in extra virgin olive oil and salt. Place on a rack over a sheet tray and slow roast in the oven. What you’re looking for is a nice caramelization without totally blasting the tomatoes. The end product should be somewhere between sun dried and fresh, but with a nice caramelization. I usually do this the day before to allow a couple hours in a 300-degree oven. Once the tomatoes come off the rack, marinate them with more extra virgin. For the pesto, blanch fresh Italian flat leaf parsley with dandelion greens. Once blanched and cooled chop up the greens and parsley before adding them to the blender with toasted almonds, a touch of lemon juice, one clove of garlic, (optional) grated parmesan cheese, and enough olive oil to get the ingredients spinning and blending smoothly. Brush each piece of rosemary sour dough with olive oil and toast in the oven or a pan. Add a nice chunk of boucheron or any triple crème/washed rind/funky, soft cheese. 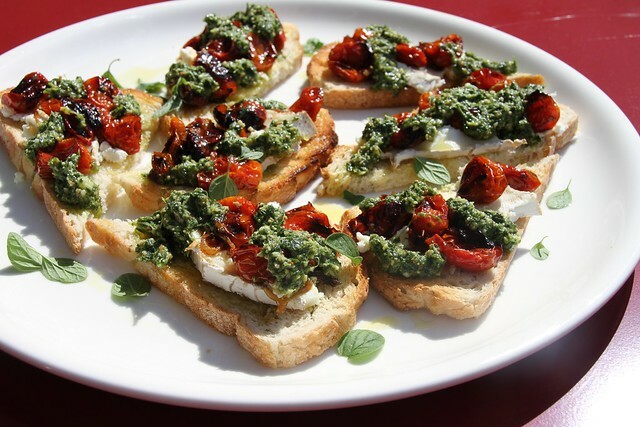 Adorn the cheese toast you just made with the marinated, roasted tomatoes. Splat on lots of pesto and garnish with fresh marjoram. I’ve also been known to add a poached or six minute egg to this dish. Start by making the Chamomile syrup. Steep tea bags in ½ cup of boiling water for five minutes. Squeeze the extra water from the tea bags and discard bags. Stir together the honey and concentrated tea until thoroughly dissolved. This will make more syrup than you need; keep refrigerated for up to two weeks. Make the cocktail: Combine all ingredients in a cocktail shaker, add ice, and vigorously shake until you can’t hear the ice anymore. This usually takes about two minutes. 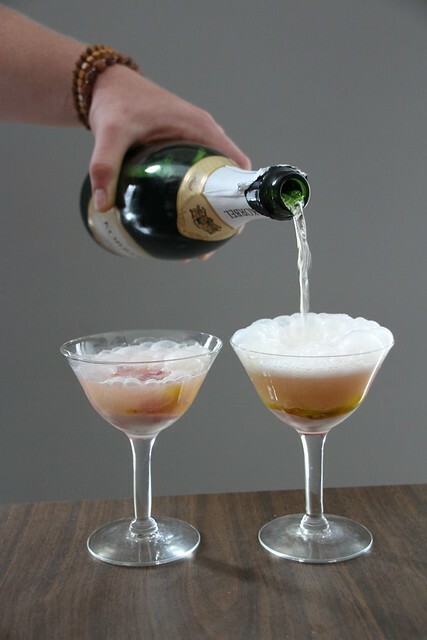 Strain the cocktail into a coupe glass and garnish with a chamomile flower and stem to the side of the glass. BitchBiz: This post is sponsored by Cobram Estate olive oils. 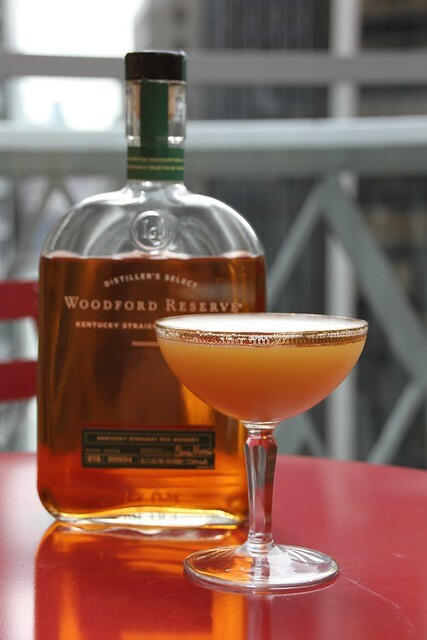 Brown-Forman supplied Korbel and Woodford Reserve.